Our mission is to provide value added tuition, to get that higher grade, but also to create a safe, caring and workable atmosphere, to aid learning. All our tutors are qualified to PGCE level and are CITB checked with references. Helping your child with Maths. Do you find it difficult to help your son or daughter with their Maths homework, now they are at secondary school? Are you puzzled by Algebra and Geometry? Would you like help to help your child to excel at Maths right up to GCSE? Then we have the course for you. 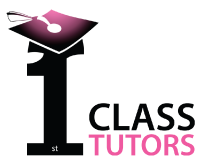 We have designed one to one sessions that can be delivered in your home or in the home of the tutor. That will help you understand Maths that is taught in Secondary school. Further to this we also go through the GCSE syllabus and get you to attempt a mock GCSE paper. We know that you have already completed Maths at school, so all 6 of these sessions are about familiarizing and extending that knowledge. Explaining how Maths is taught in schools and each session will be directed to how you can help your child in that area. And I promise it will not be like school, very informal and relaxed, and when your child comes home with Algebra homework you will have a good knowledge base and also lots of resources which you will get throughout the course. You can add and subtract, but can you do long division or work out the percentage increase on your mortgage while out shopping? What type of things will I learn? Understanding Maths key words: ratio, prime numbers, multiples, factors, etc. Will I get a qualification after it?